The garage door on your home or business plays a key role in protecting your property. It also adds a layer of insulation against Iowa Colony weather. 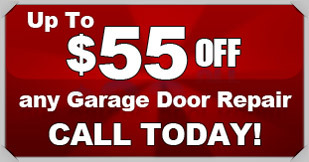 For those reasons, our team at Action Garage Door offers fast and affordable garage door repair. For more than 20 years, we have been helping home and business owners through resolving problems and installing new doors. Our specialists have worked on all makes and models of garage doors. We can help you by troubleshooting a mechanical problem, replacing loose or damaged panels and even repairing broken garage door openers. If you are interested in purchasing a new door, we offer a wide variety of styles for both residential and commercial properties. We understand that when your door isn’t working properly, you want help as fast as possible. With our 24-hour emergency garage door repair service, you can rest assured that one of our technicians can be there within an hour of your call to resolve the issue. Each of our staff members has passed a background check. We use only name brand products. Our warranties are the best you will find in the industry. Our team works efficiently and with expert workmanship to make sure that your pricing remains low. We also ensure that every project we do is up to Iowa Colony building codes. Allow our team to give you peace of mind by restoring your home or business’ security. At Action Garage Door, one of our specialists will put a quote in writing, which will be good for as long as 30 days. To learn more about how we can help you or to get your estimate today, please contact our team.